Ghent, Belgium – Leading polyolefins additives supplier, Milliken, is all set to impress Europe’s packaging industry at FachPack 2015 with the exciting ability of UltraClear PP to create thermoformed food packaging that is eye-catching, high-performance and resource- and cost-efficient. Celebrating 150 years of enhancing people’s lives, Milliken will showcase applications demonstrating the full potential of UltraClear PP alongside UV protection solutions for polyolefins and PET bottles (Booth 642 Hall 9). 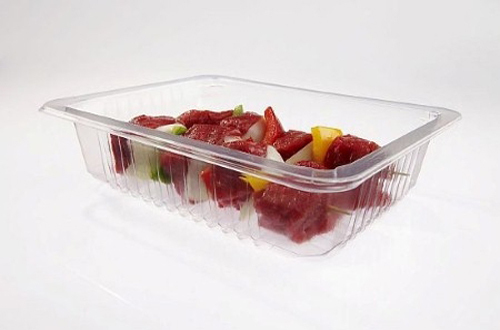 “UltraClear PP offers a highly-desirable set of performance and sustainability benefits for thermoformed food packaging for converters and during and post consumer use. As a mono-material solution UltraClear PP can be recycled easily, unlike multi-material or multi-layered PET alternatives. This supports a circular economy that results in end-of-life solutions in further applications, such as automotive, furniture, containers and appliances,” comments Sami T.K. Palanisami, Milliken’s Marketing & Sales Manager Plastic Additives.